Microsoft has released cumulative update KB4054517 for Windows 10 Version 1709 as a part of patch Tuesday for December 2017. We will give a brief description about what is included in KB4054517 and its direct download links. KB4054517 cumulative update includes security updates for Microsoft components including Microsoft scripting engine, Edge browser and some general fixes and improvements. After installing this update, your complete Windows version will become Windows 10 Version 1709 Build 16299.125. Let’s go through some of the changes made in this update and then go towards its download links. Addresses issue with personalized Bluetooth devices that don’t support bonding. Addresses more issues with updated time zone information. It is always recommended that the user should install all the monthly updates of Microsoft Windows and other Microsoft products through Windows Update. If you have already installed the earlier updates, only the new fixes will be applied from this cumulative update. 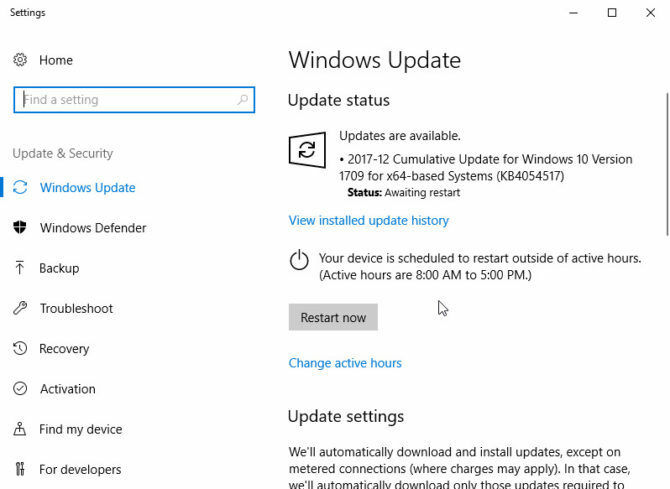 If you have not updated your Windows 10 version 1709 then there is no need to install more updates. This update will install all the previous updates. Thanks a lot, you have the best website. I love it!